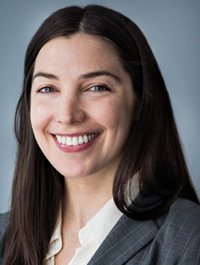 Emily Golub has broad experience in both criminal defense and civil litigation at the trial and appellate levels, in both the state and federal courts. Ms. Golub's practice has focused on researching and writing legal and factual memoranda in support of her clients. She also has substantial experience navigating the procedural intricacies of civil practice. Ms. Golub is a graduate of New York University School of Law, where she interned with the Federal Defenders for the Southern District of New York, and served as a student attorney in NYU's Federal Defender Clinic and Housing and Employment Discrimination Clinic. She was also a student instructor for NYU's Prisoner Rights and Education Project. Ms. Golub grew up in Connecticut, and received her undergraduate degree from Northwestern University.